VOTE: Which 2016 movie are you most excited for? We paired 16 of this year's upcoming should-be blockbuster movies in a head-to-head bracket to find out what is truly 2016's most anticipated film. Every week a new round of voting will commence based on which movies were chosen to advance by our readers. 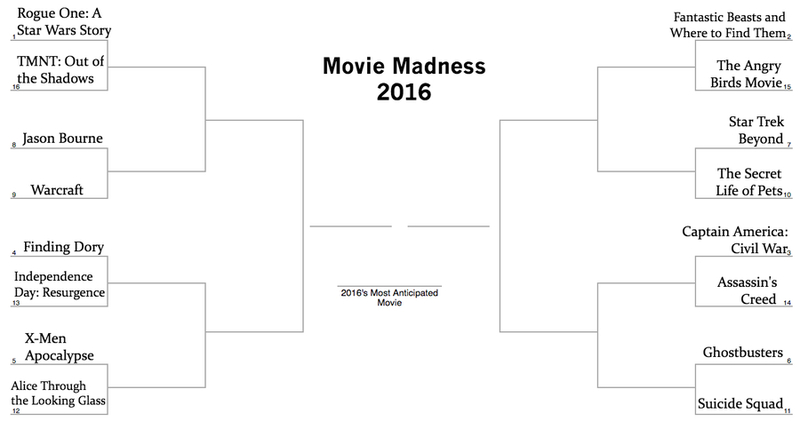 The champion of Movie Madness 2016 will be revealed on April 12. Note: No movies scheduled to be released before April 12 were considered for the bracket.